In the post benefits of indoor plants, we have seen that how house plants offer several health benefits including indoor air cleaning. But what are actually those plants that purify indoor air quality? Well, keep on reading for a list of top household plants that clean the air. The picture of each plant is included to identify it easily. The main household toxins in the form of volatile organic compounds affecting our health are benzene, formaldehyde and trichloroethylene. These chemicals are emitted by building materials, furnitures, paints, gas ranges, printing papers, etc. These toxins are risky for asthma, cancers, allergies, auto-immune disorders and other diseases. There are some houseplants which are capable of removing more than 85% of toxins in the air each day, thereby decreasing the risk of many diseases. Almost all plants have an air cleaning ability to some degree through their normal photosynthesis processes. However, some plants are better for removing certain toxins and pollutants and putting moisture back into the air than others. The following table is compiled from the results of a controlled experimental study carried out at NASA by Wolverton to find the chemicals absorption capability of some house plants. Many plants are effective at removing a broad range of toxins. The study revealed that while Happy plant, Pot mum, Peace lily, Gerber daisy, Dracaena Warneckii, Weeping fig, etc. are good at clearing benzene, formaldehyde and tricholoroethylene, plants such as English Ivy, Dragon tree, Janet Craig, Golden Pothos, Gerber Daisy and Peace Lilly are very efficient in removing benzene. As different plants remove different chemicals, multiple species of houseplants should be included for maximum benefit. Major factors that should be considered when selecting houseplants are light, soil, temperature, humidity, fertilizers and pests. How Many Plants: Don't place a plant in every corner of your home, two or three per room is plenty, says NASA report. Two 5-10 inch pots (or one 10-12 inch pot) for every 12 ft x 10 ft space have been recommended to effectively purify air and to improve health and reduce fatigue and stress. The number of plants may be increased for larger space. Where to place the Plants: Placing them beside your bed, on your desk, or anywhere else you spend a lot of time (near the TV) helps you fully reap their air-cleansing benefits. The plants should be placed such that the greenery remains in view. Decide weather you want a flowering plant, good foliage plant or any other plant. For the best success with any houseplant, you need to match the right plant to the right growing conditions. Choose the plant depending on the light requirement of that plant and the light that is available in the room. Don't put a low-light plant in a sunny room. Periodically replenish plant's soil with compost. Water the plants as their need. Give rainwater for your plants, if possible. Fertilize as per the recommendation for the plant. Periodically clean the leaves of the plant with a damp cloth to ensure proper absorption of toxins. Some plants may not be safe for pets or kids. So get details on the plant before you bring that into your home. Once a plant adapts to a certain area in the house, it is not good to shift it to other area. Wolverton B.C., Annee Johnson and Kelth Bounds Interior Landscape Plants for Indoor Air Pollution Abatement. Final Report–September 15, 1989. Stennis Space Center, MS:Science and Technology Laboratory, John C. Stennis Space Center, National Aeronautics and Space Administration (1989). 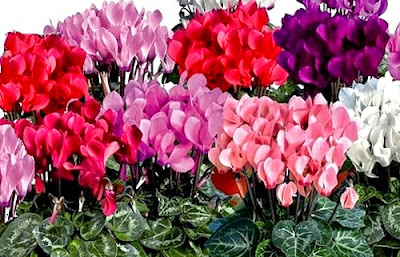 Wolverton BC' How to Grow Fresh Air: 50 House Plants that Purify Your Home or Office. New York, NY:Penguin Books (1997). Kim KJ, et al., Variation in formaldehyde removal efficiency among indoor plant species. HortScience, 45(10):1489–1495 (2010). Yang DS, et al., Screening indoor plants for volatile organic pollutant removal efficiency. HortScience, 44(5):1377–1381 (2009). Xu Z, et al., Formaldehyde removal by potted plant-soil systems. J Hazard Mater, 192(1):314–318 (2011). Wood, R.A., M.D. Burchett, R.L. Orwell, R. Alquezar and F. Torpy, The potted-plant microcosm substantially reduces indoor air VOC pollution, I. Office field-study. Water, Air, and Soil Pollution, 175:163–180 (2006).